Our Couture Beauty House in Sunderland is a haven of tranquillity for you to kick back, relax and unwind from the moment you walk through the door. Leave all your stress behind as you take some much-needed time out for yourself, and indulge in our spa-like experience, exquisite surroundings, and luxurious atmosphere. We’re passionate about helping you look and feel fabulous, which is why we offer only the very best in high-end beauty treatments and luxury products. And our bespoke beauty, grooming and aesthetic treatment plans ensure you’ll be taken care of from head to toe, every time you visit. We care about our clients and want to provide them with the ultimate VIP experience, which is why we spend a great deal of time recruiting the most talented, friendly, and experienced beauty therapists. Our highly-qualified Elite team are trained only by the best, and we pride ourselves on offering an exceptional service. So every time you come to Kitui for a beauty treatment, you can rest assured you’ll always be in capable hands. And because we’re also experts at getting to know you and your skin, we’ll give you bespoke guidance and advice to help you stay looking and feeling fabulous. We’re big believers that every woman and man deserves to look and feel their best, no excuses. Beauty treatments and self-care are a necessity in our eyes, because when you feel good about yourself from the inside out, it shows. And as connoisseurs in helping you look and feel like the best possible you, we’re ready and waiting to get to know you. In 2017, we embarked on a beauty mission. We wanted to create a high-end, first-class beauty experience for our clientele, which complemented our successful hair salon, and our new, purpose-built specialist wig studio. 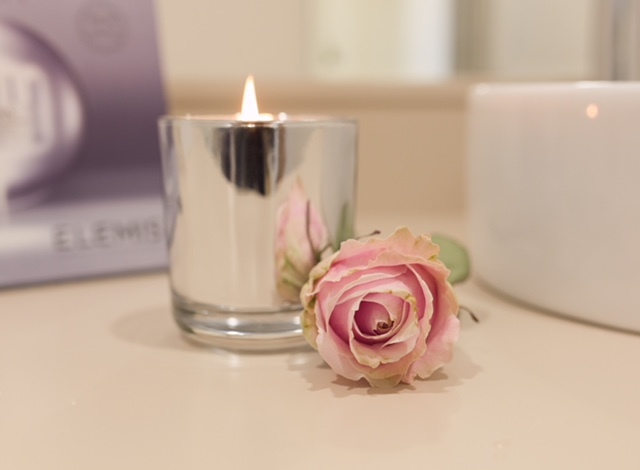 After lots of research and discussion with our beauty team and clients about what they’d like to see, we’re now very proud of the elegant and cutting-edge beauty and pampering experiences we’ve created, worknig with premium brands like Elemis , we know you’re going to love them too. So if you’re looking for premium beauty treatments and spa-feel experience, hand crafted coffees and canapes are standard and where luxury and glamour are second-nature, come to Kitui. Once you’ve been, you’ll never want to go anywhere else. Using premium hot and/or warm wax for maximum comfort and speed of service. *Treatment times include consultation and are approximate. Please try to arrive 10 minutes early to allow for full experience. We use Brows By Mii by Jessica in all of our brow treatments and LVL by Nouveau. We fully appreciate the power of the perfect brow, transforming your face to open up the eye and enhance eye colour. A successful skin test must be completed 24 hours before and eye tinting treatment is performed. Sharpen your face with this instant brow lift. Brow mapping, tinting, shaping and enhancing will deliver super sleek definition. This highly personalised service ensures brows that wow. Lvl for Lift Volume and Length this treatment is for natural lashes, it includes an eyelash tint and gives eyes a more open, alert and beautifully lifted look without the need to infills or maintenance. Results last up to 8 weeks. Reusable tailored strip lash included. Small clusters of lashes are added for a pretty look, results last 3-5 days depending on aftercare. We use St Tropez products for our tan. Using Jessica products to deliver the finest tread for your hands and feet. A complete exfoliating and conditioning hand treatment, leaving hands noticeably silkier, smoother and firmer than before. Nails are analysed and treated for their specific condition. Jessica’s prescriptive manicure includes exfoliation, a massage and cuticle care. Jessica’s Prescriptive Manicure with the luxurious added benefits the Thermal Heated Mittens for deeper penetration of oils and creams. This treatment choice is excellent for increasing circulation or relieving stiff, painful joints. Hands and cuticles are conditioned and moisturised. Nails are beautifully shaped and treated with a prescriptive base coat, competed by the perfect polish. Hands are exfoliated to remove dryness and massaged with treatment creams, cuticles are conditioned, groomed, and nails are trimmed and shaped. Awaken your senses and discover the restorative powers of Asianaquatic plant extracts to purify, cleanse, smooth and calm. Hard skin is removed, feet and legs are massaged with conditioning creams. Cuticles are groomed and toe nails are shaped and perfectly polished. A relaxing and grooming foot and leg treatment. Hard skin is removed, feet and legs are massaged with deep conditioning creams leaving them softer and smoother. Cuticles will be made neat and tidy, and toenails will be perfectly shaped. The beauty of Jessica in a gel. With the health of the natural nail in mind, GELeration’s gel formula delivers a long lasting, flawless finish that dries in seconds and protects the natural nail. GELeration is available in Jessica’s most popular colours. Nails are filed, shaped and finished off with your choice colour from the Jessica GELeration polish range. Includes hand exfoliation, massage, cuticle care, Nail shape and finish with Jessica’s GELeration gel polish. Existing polish is removed, cuticle tidied, nail shaped, and a prescriptive base coat is applied. Using the finest acrylic by CND to create length and strength while protecting the integrity of the nail always. Please note we only remove acrylics nails we have applied in house. Whatever the Occasion we can help you look your best using premium brands to enhance your natural beauty. Tackle fine lines and wrinkles with the clinically proven* age-defying benefits of marine charged Padina Pavonica & Red Coral. Targeted massage encourages optimum cellular function for nourished, younger looking skin. *Independent Clinical Trials. Restores even skin tone, targeting unwanted areas of pigmentation. Encapsulated Vitamin C acts as a potent brightener, inhibiting future pigmentation. The result is a more even, colour- corrected and illuminated complexion. A nutritional boost rich in superfoods & essential minerals designed to pack stressed, dull skin with energising, detoxifying actives. Clinically proven* to leave skin plumper, radiant and lit up with good health. *Independent Clinical Trials. A revelation for oily, congested or hormonal skin. This mattifying facial helps combat oil and shine, while intuitive massage helps restore micro- circulation. A deeply detoxifying treatment for clear, bright skin. Condition your skin and muscles with this all-embracing experience. Combine any 30- minute or 1-hour ELEMIS hands-on TOUCH facial with your personalised Freestyle Deep Tissue Massage. The hard-working facial for ageing, dehydrated skin and tired eyes. It maximises cell regeneration, as steam and extraction decongests. Multi- dynamic facial massage sequences boost circulation, whilst scalp and foot massage deeply relax. A back specific treatment to soothe aches, your therapist will discuss your needs in consultation. Includes top of shoulders and back and can be combined with a luxury hair treatment. A menu designed with your wellness in mind. For times of anxiety, stress, trauma, illness and bereavement, and for those living with cancer and beyond. Made for Life Wellness treatments provide a window of time where guests are able to disconnect from their daily stress & reconnect with nature and stillness.The treatments are akin to a period of meditation, allowing the body to access the parasympathetic state where the mind and body are prompted into a ‘state of allowing’. This period of time allows rejuvenation on all levels – mind, body and spirit – including a natural boost to immunity. All Made for Life treatments use Made for Life 100% organic preparations and a range of specialised relaxation techniques. The following treatments were created to all be suitable for people going through cancer. When we relaunched our business in 2018 we want to be a truly inclusive salon and for us this meant helping people through the hard times as well as the good, and so to compliment our hair loss and wig services we made it our mission to be fully inclusive for people going through cancer, ordinarily at any stage of cancer and treatment beauty treatments, are not deemed safe but we endeavoured that our therapists would be expertly trained specifically for this purpose, as such we are the only salon in the UK to complete the intensive Made for Life TM training and therefore offer these specific services which are safe for people throughout the entirety of their cancer journey and remission states. This nurturing gentle treatment for the head, back and shoulders was created to allow you to drift away into a meditative state of relaxation. Slow Tui Na Chinese massage techniques rebalance and calm the upper body. The ritual uses slow, soothing and rhythmic techniques providing complete tranquillity and relaxation, and 100% certified organic Made for Life by Spiezia products. (also suitable for people diagnosed with and recovering from cancer). This nurturing and calming treatment for the head, face, back and shoulders was created to allow you to drift away into a meditative state of relaxation. Slow Tui Na Chinese movements rebalance and calm the upper body while the facial will replenish, nourish and revive the skin and ease tension. The ritual uses slow, soothing and rhythmic techniques providing complete tranquillity and deep relaxation. 100% certified organic Made for Life products nourish and protect. (also suitable for people diagnosed and recovering from cancer). A beautiful way to restore natural luminosity to the skin, leaving you looking & feeling radiant. 100% organic balms and oils will nourish and cleanse, eliminating congestion and returning natural balance to the skin, whilst deeply relaxing face and scalp massage calms the mind and soothes the soul (also suitable for people diagnosed and recovering from cancer). Using appropriate protocols combined with 100% safe products our therapists can confidently open their doors to anyone going through cancer and provide much needed support for those living with and beyond cancer. The treatments all use award winning, ethically accredited Made for Life Organics products. Hand blended in Cornwall, the products are infused with natural botanicals and are delicately scented and do not contain any synthetic chemicals or parabens. The therapy provides a safe and beautiful way of providing guests with a remarkably comforting experience, allowing an opportunity to truly relax. *Treatment times include consultation and are approximate. Please try to arrive 10 minutes early to allow for full experience.